and domestic & commercial installations. 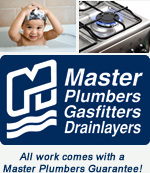 Professional Plumbing & Gas – Palmerston North, offers quality workmanship and a commitment to excellent customer service in the plumbing, gas fitting and drainage industry. With more than 19 years serving residential and commercial clients in Palmerston North and surrounding areas, our team of professional plumbers and gas fitters have the expertise to complete both simple and complex plumbing, gas fitting and drainage jobs.